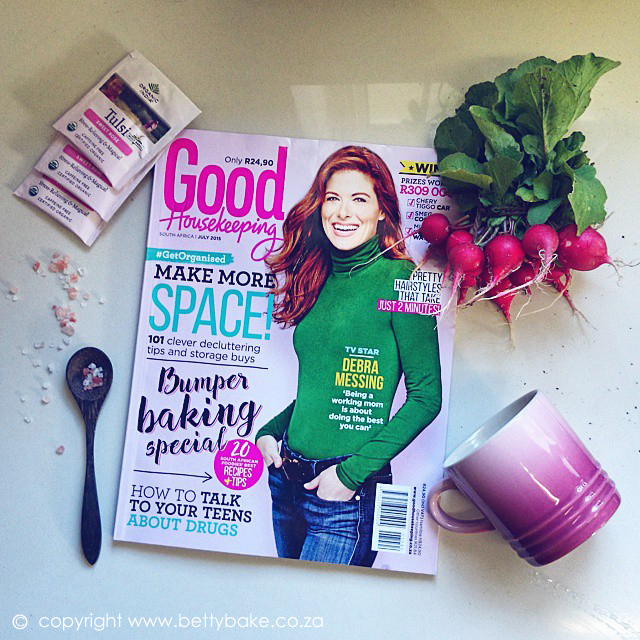 Im excited to share that I am in the July issue of Good Housekeeping Magazine SA. In the past I bought sprouts at the store/shop in the salad section and added them to my salads, randomly and when I felt like buying them. Since then I have tasted some really delicious take-out raw food dishes which seemed to contain A LOT of different kinds of sprouts with all kinds of delicious patties and salads. 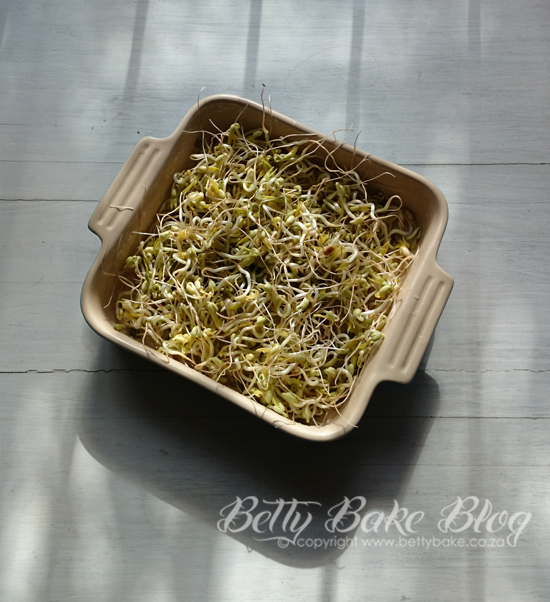 While chatting my husband asked "why don't we sprout?" and from then on I was hooked on the idea....Why hadn't I considered it before? I read advice online and started with 3 jars and some mesh/tuille fabric. I also drove my husband crazy because our drying-up rack for our dishes became the home for the jars of busy sprouting seeds thus causing chaos in the washing and drying of our dishes and trying to keep the kitchen clean.. (hehehe.) - causing chaos in the kitchen seems to be my special something. So after several days of searching for a second drying rack - I wanted a fold away one, which is currently impossible to find in any stores where I live we went straight to the source and just bought a kind of expensive (but so worth it) sprouting rack. Its perfect and our sprouting journey continues full throttle. The enzymes in sprouts is much higher than in other uncooked, raw foods because the sprouts are alive. The vitamin content in sprouts is higher - yay more vitamins!